Jean-Philippe Renoult is a sound artist, radio producer, lecturer and independent curator based in Paris. His piece for the Curated by Radia series refers to specific events in French politics which occurred in summer 2010, when the radio artists resided at Gasometer Oberhausen. His piece “Out of Breath” links documents of these events with the spectacular acoustic qualities of the industrial space. “For the Radia art camp at the Gasometer in Oberhausen I was literally ‘Out of Breath’ for two main reasons, firstly because I climbed the 800 steps of the outdoor staircase of the Gasometer as the thermometer hit 36° C, which is no mean feat for a smoker, and secondly because I feel worn out by the state of French politics, in particular the L'Oreal family feud which has led to a series of investigations concerning political donations, tax evasion and money laundering. 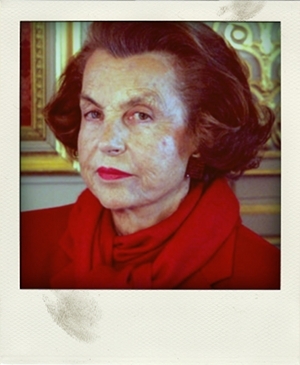 I decided to voice this fatigue by reading the offensive comments by readers on the French investigative journalism website HYPERLINK "http://www.mediapart.fr/journal/france/190610/bettencourt-dossier-complet-pour-comprendre"Mediapart’s decision to publish extracts from secret recordings between L’Oreal heiress and Europe’s richest woman HYPERLINK "http://www.guardian.co.uk/world/2010/jul/09/liliane-bettencourt-profile" Liliane Bettencourt, and her financial advisor Patrick De Maistre. In these recordings Maistre clearly advises Liliane on how to corrupt government members and the best way to avoid a hefty tax bill.